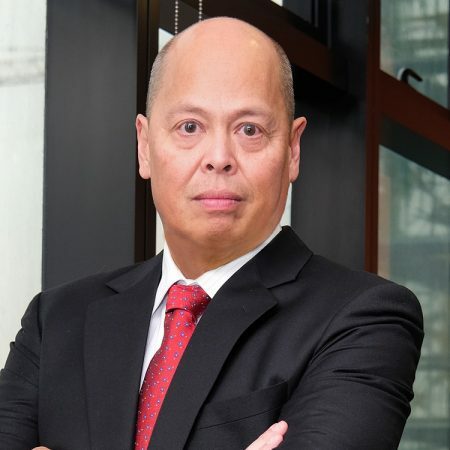 As General Manager of one of the Philippines’ major consumer goods companies, Ramon Daez explains his strategies for success. In 2015, Fly Ace Corporation broke free from the traditional notion of keeping family members in the upper echelons of management by hiring Ramon Daez – the first commercial general manager from outside the family. This was part of the company’s strategy to professionalise its structure, policies and practices as well as to make way for continuing business growth. Prior to joining Fly Ace, Ramon worked at household care company SC Johnson and pharmaceuticals business Warner–Lambert, which was later acquired by US pharmaceutical giant Pfizer. After working with these two companies, Ramon wanted to return to a place close to his heart. 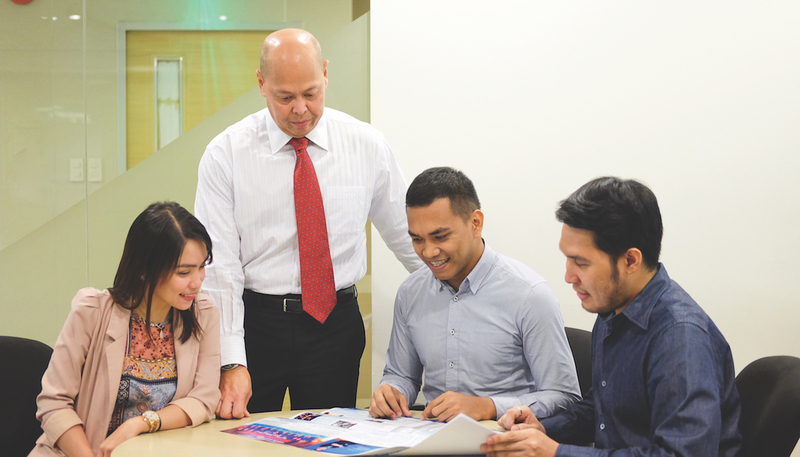 “I decided that if I was to work for a third company, I would do so with a Filipino company, as I believed it was my turn to give back and help a locally owned business become even stronger,” he says. Once he took on the role, Ramon pinpointed three key areas he would focus on to keep Fly Ace moving in the right direction: the people within the organisation; business growth and process improvement; and customers and consumers. In terms of the people, Ramon wanted to strengthen the performance metrics of all workers and ensure all KPIs were consistent. “Organisational and personnel strengths were also looked at to make sure the company could continue to attract good talent, retain those already in and train those in need of further skills,” Ramon says. With regard to spurring business growth and process improvement, Ramon sought clear and aligned priorities across all functions in the business, as well as strong returns on investment and streamlined processes through automation. Transitioning select processes to an automated platform enables the team to focus on analysis and actions, rather than report generation. For customers and consumers, Ramon’s plan is to continue driving growth. “The fast-moving consumer goods [!fmcg!] industry is at about a 5% to 6% annual growth in value, and Fly Ace has been ahead of this for several years now,” he says. Ramon attributes this success to the stronger market positioning of the brands it has, namely its flagship Jolly. Fly Ace introduced Jolly as its first brand in 1997, launching a canned product called Young Corn. “At the time, the goal for Jolly was simple – provide a quality vegetable and fruits brand at an affordable price to Filipino consumers. This continues to be a core goal of the brand to this day,” Ramon says. Since then, several other products have been launched under the Jolly name, including mushrooms, whole corn, creamed corn, salted black beans, and green peas. Ramon acknowledges the hard work the staff puts in to keep the company at the forefront of the FMCG industry. “Our journey to be better has not been a walk in the park,” he notes. Ramon knows what it takes to keep his staff on the right track. “Discipline is paramount – it is a foundation for consistent excellence. I am known to be strict, precise, detailed and demanding, but at the same time understanding and flexible, as appropriate,” he says. “I abide by a promise-based management style – what one commits to do, one must do. This truly is what being a person of integrity means to me – it is not only about being honest, which is important of course. And the key to securing the upper hand in the FMCG market? Gaining as much information on consumer habits as possible. “In-depth and insightful information allows us to better understand the motivations, influences and behaviour of our consumers – especially the younger generation. If the information is not readily available, we need to be creative to go out and source it – go to the market and talk to the sari-sari [!variety!] stores, or the wet market stall owners, and conduct informal interviews with our users, shoppers and consumers. The intent is to ensure that the customer–consumer experience is as good as we can make it for them. While the company ultimately seeks higher revenues and better employee retention rates, Ramon believes true success is about the journey. “I enjoy the walk – and the run too – but I do not focus on just reaching the end, rather on what I learn, my successes and failures as I move towards my aspirations and life goals. Sometimes the failures are an even stronger source of strengthening than the wins,” he says.